Lead netting consolidation instead of re-coating with lead. Also lead nettings are components of the original. Also, by way of a proper and professionally executed lead netting consolidation, one can, as a rule, refrain from the often (unfortunately) all-too-quickly demanded re-coating with lead, and regain the necessary stability and durability. 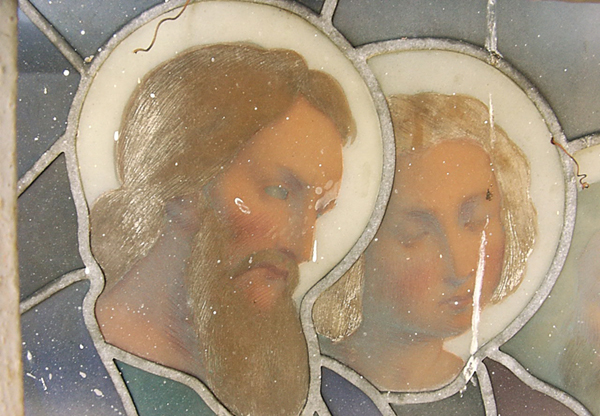 After all, also a historic lead netting ids highly significant to the authenticity of the glass-painting design. Glazing. 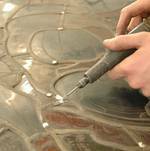 EWven heavily-damaged lead nettings ca often be preserved with sufficient patience - particularly if the glass paintings are equipped with a protective glazing. In addition, also the mere replacement of individual lead rods is necessary. Even this severely damaged lead netting could be preserved in the course of conservation. 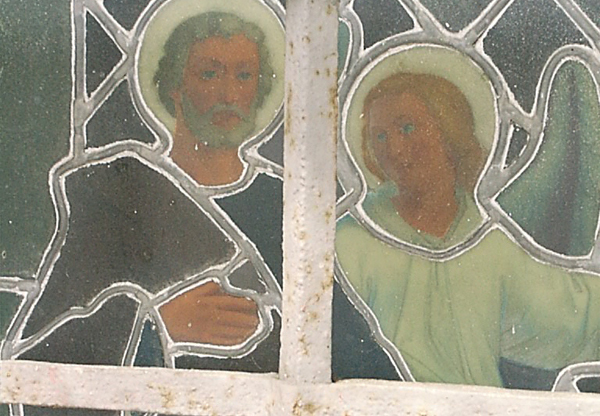 The same window, with the preserved lead netting and the reconstructions in the glass paintings. Careful positioning of the lead netting. Punctual removal of the lead's oxidation layer. 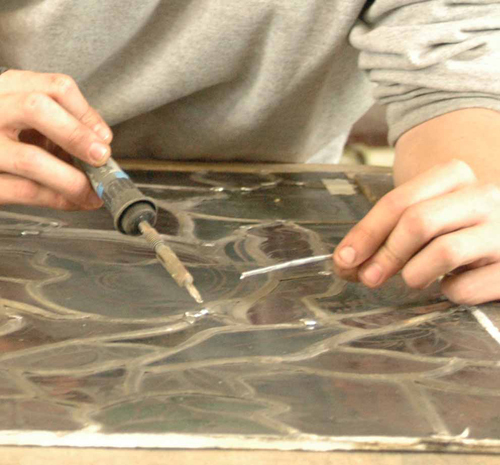 Controlled re-soldering of the broken places. The filigree original lead netting of a glass painting in its previous condition (from the outside). 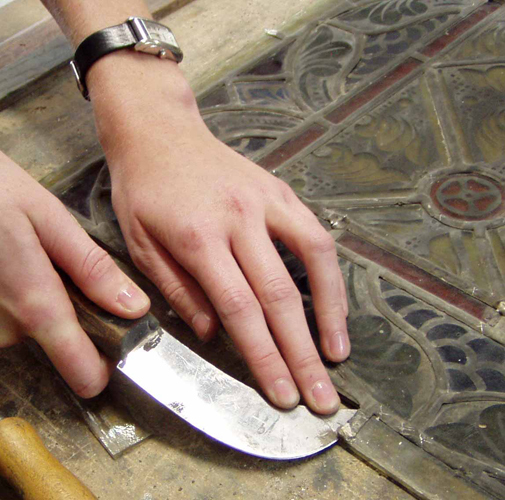 Another window in the same inventory was coated with lead according to the relevant historical specifications. The loss of the filigree character is clearly apparent.